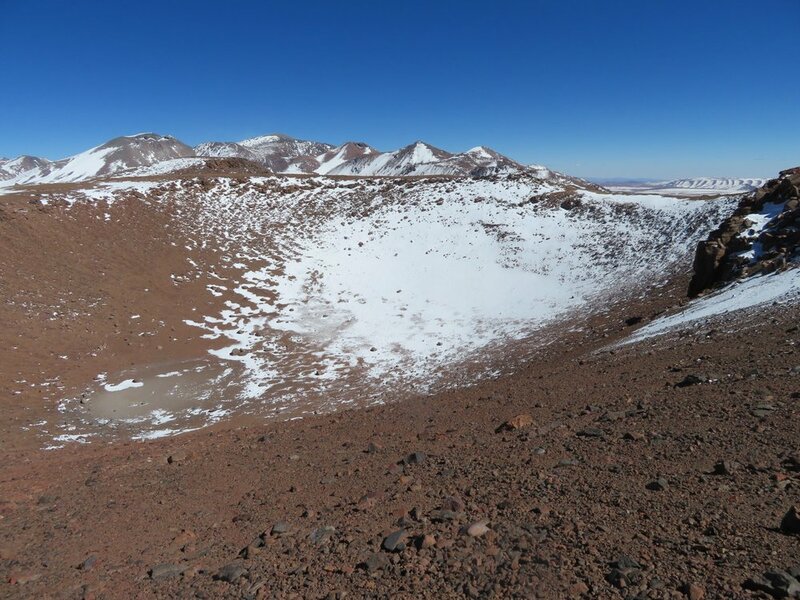 Orban Zsombor returns back safe and sound despite a mishap due to gale force winds after exploring a caldera situated in Bolivia (near the border of Chile) to find the largest daily temperature amplitude in the world. The temperature inversion in the crater basin is so strong that on this day with still air and no clouds the air temperature rises from -35 degrees Celsius at ground level to -26.6 as measured in the MeteoShield Professional only 1.7 meters above ground. The maximum temperature of the day was only +4 degrees Celsius but felt much warmer in the sun and thin air. The maximum daily fluctuation at this high altitude came to be a staggering 30.6 degrees Celsius (55.1 degrees Fahrenheit).